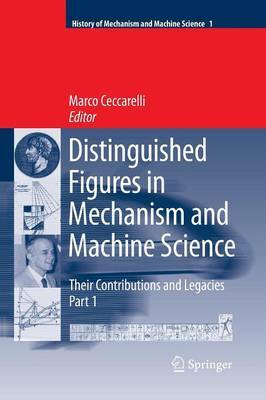 This is the first part of a series of books whose aim is to collect contributed papers describing the work of famous persons in MMS (Mechanism and Machine Science). The current work treats mainly technical developments in the historical evolution of the fields that today are grouped in MMS. The emphasis is on biographical notes describing the efforts and experiences of people who have contributed to technical achievements.